The all-powerful free media player that can support almost all media categories and formats, like movies, videos, audios. 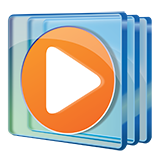 Designed as a free DVD Player for Windows, it also supports VideoCD, MKV, MOV, AVI, FLV, WMV, MP4, MPEG, RMVB, MP3, WMA and other non-mainstream formats on all Windows OS, including Windows 10. Directly output DVD or other videos with high-definition quality and support DTS5.1 without any quality loss as well as pass through for Windows. 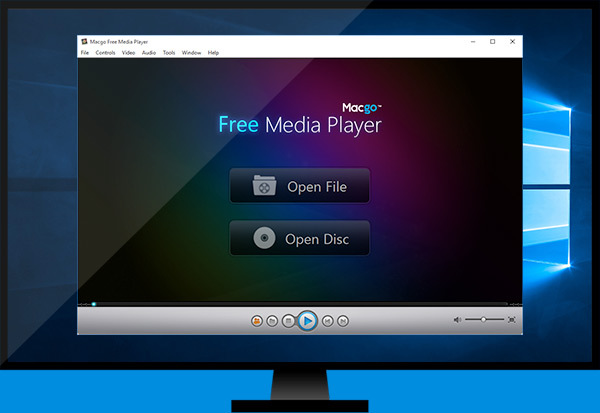 With the arrival of Macgo Free Media Player, all PC users are able to enjoy DVD on their desktops or laptops at even 1080P HD and 4K UHD Video and experience an audiovisual feast. It not only can successfully play the built-in subtitles of any media formats but provide free external subtitle support on Windows like SRT, SSA and SUB, which Windows Media Center certainly cannot do. In addition, Macgo will keep timely upgrades of this powerful free media player and any update service will be free in the future days.